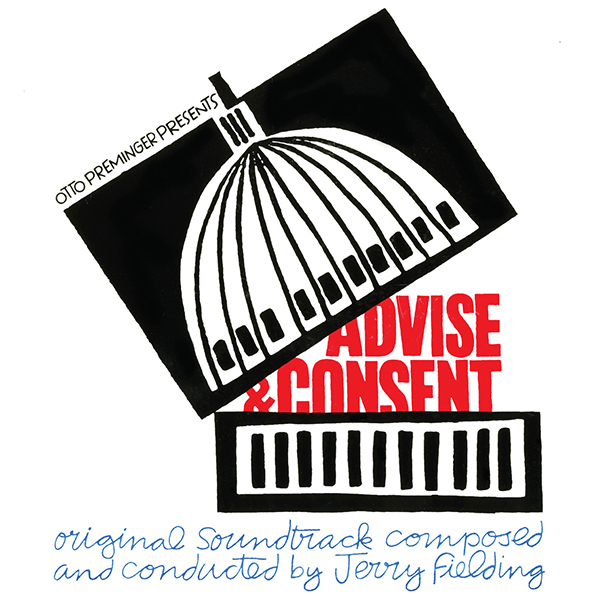 RCA issued the soundtrack to the film, with the distinctive Saul Bass art adorning its cover. The album was, like all soundtracks of that era, fairly short at around thirty minutes. But what a thirty minutes it is. While there was a Spanish import CD of the album, it was not taken from the first generation album master, but a sub-master. For this release, Sony provided us with the original first-generation album master and it is, in a word, spectacular, and James Nelson has put his magic on it. The packaging also includes a lovely tribute to Fielding by Nick Redman. ADVISE AND CONSENT is limited to 1000 copies only and priced at $19.98, plus shipping. CDs will ship by the first week of July, but never fear, we’ve actually been averaging three to five weeks early in terms of shipping ahead of the official ship date.